Fan Protect Plat Red(25X25mm)-Muchmore Racing. Co., Ltd. This item protects from any external damage to the fans and/or the fan blades, that can be caused by small debris. 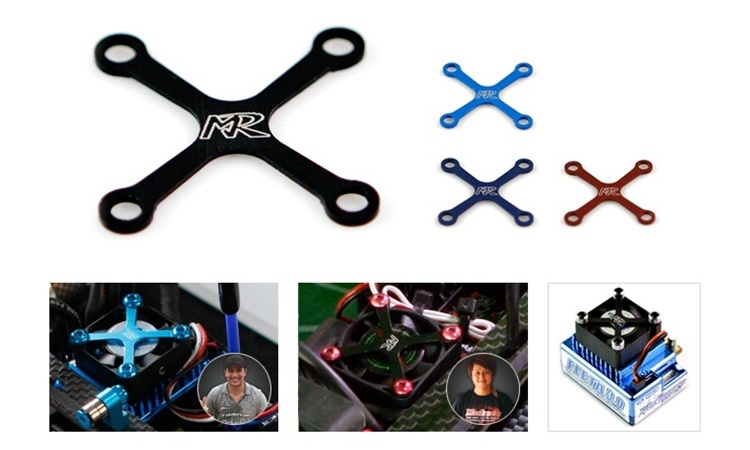 With four different colors to choose from, (black, blue, cobalt blue, red), you can easily match to the color of your body shell, car or ESC.